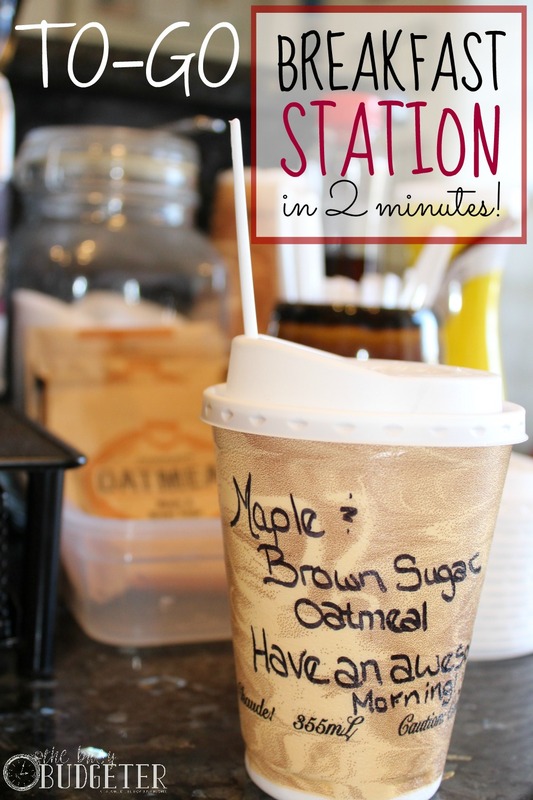 To-Go Breakfast Station in 2 Minutes or Less! 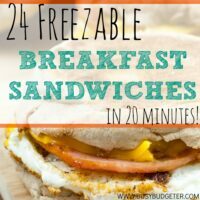 To Go Breakfast Station in 2 Minutes! There are so many benefits of eating breakfast. But so few of us actually eat breakfast. For those of us that do, it's more likely that we're eating a fast food breakfast, donuts at the office, or a danish at Starbucks than something from our own home. Which is why we made a breakfast station. The problem with eating breakfast out every day is that it's expensive. Really expensive! It also has a ton of calories (that I certainly don't need!) and “costs” you about 20 minutes a day in order to grab your breakfast in the drive-thru instead. When we needed to break ourselves of that habit, we came up with a solution that worked so well that we still use it today. We made a super quick and easy breakfast station. The breakfast station makes it so we can have a hot and nutritious breakfast ready to go as we walk out the door in less than 2 minutes. We can even eat in the car without a problem! It's packaged to go! Jon's a coffee snob. I prefer Mint Chocolate Oolong Tea. We have the ability at this station to make a super quick cup of coffee using a k-cup. 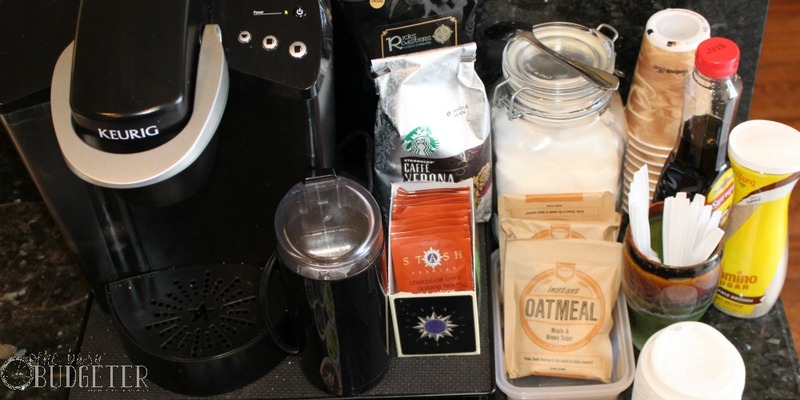 If Jon has time to be a true coffee snob, he can use his spice grinder and french press to make the perfect cup of coffee. We use the Kuerig to heat the water for our oatmeal. Just remove the k-cup and put the top down (with no k-cup inside). 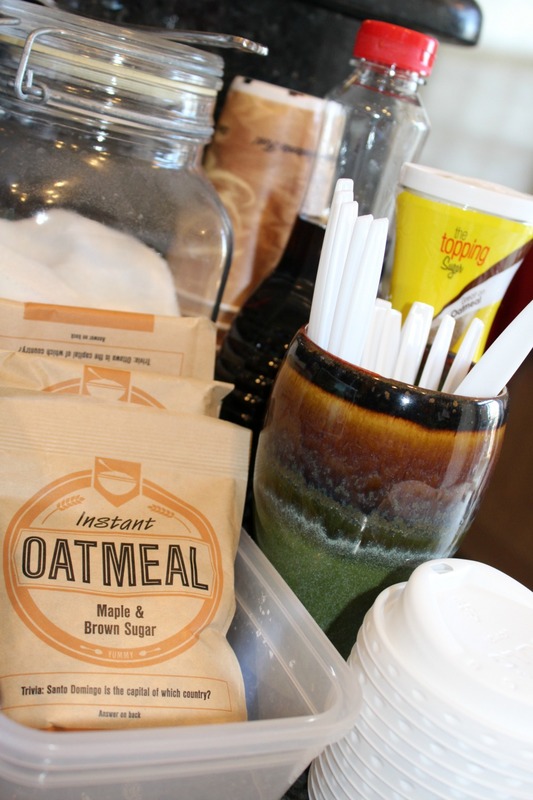 Pour 2 containers of oatmeal into a to-go coffee cup with lid (you can get these at any grocery store- we used Wegmans). Press the “small cup” water button and wait until the cup fills. Add your toppings. We love maple syrup (ours doesn't need refrigeration) and brown sugar. Stick your spoon through the top of the cup in the small hole meant to be the mouth opening. Then put the top back on your cup, stir the oatmeal well and take it to go. We keep a basket filled with apples and bananas on our way out of the kitchen. We can grab a piece of fruit to pair with the oatmeal and be on our way. 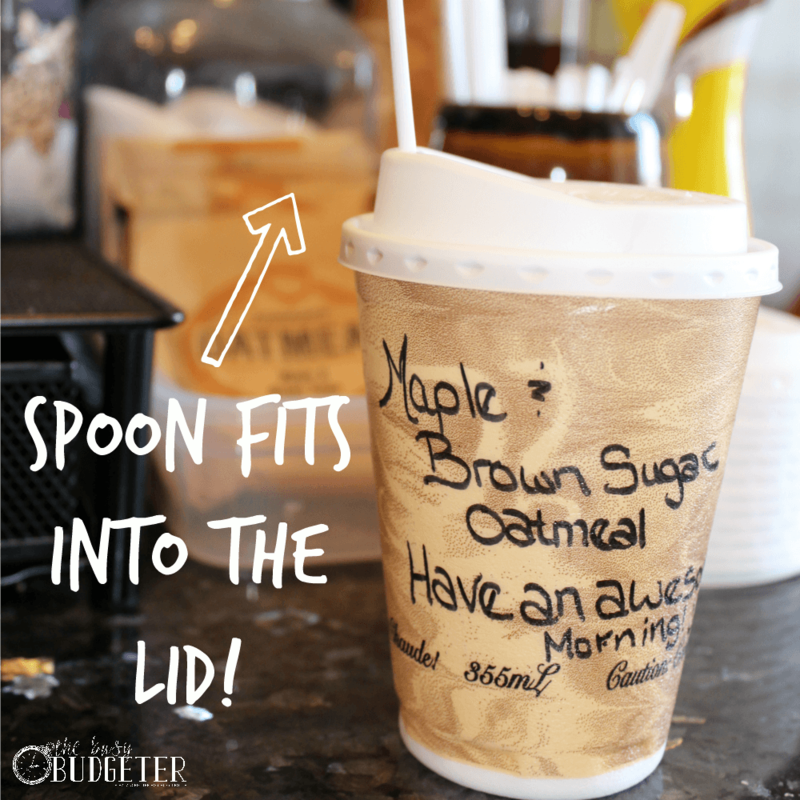 The cup fits right into the cup holder in your car, and is just as easy to carry into work and throw out when you're done! While I'm usually not a fan of clutter on any counters, my ultimate priority is to make sure that I make things so easy that I'll actually do it. The problem with trying to just leave myself more time in the morning is that I won't do it. This doesn't have to be a long term solution. Eventually you'll get used to grabbing breakfast at home and you'll stop relying on the drive thru. 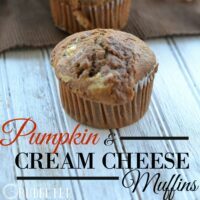 You'll leave yourself a little more time in the morning and then you can clear off that counter and stack your freezer with freezer breakfast sandwiches, chocolate chip pancakes, and muffins to go (okay, so the oatmeal's healthier, but these sound way better!). Our goal here is to modify your behavior with a simple solution. The breakfast station works great to do exactly that! 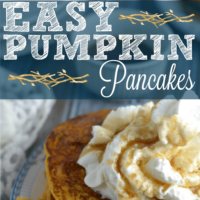 What are your favorite super easy breakfast foods! This is a good idea. I usually eat cereal at home in the morning or eat a bagel and cream cheese when I get to work (free!). I started boiling a batch of eggs over the weekend so I can use them for breakfast or in salads during the week. We make breakfast bowls ahead the night before. Usually on the weekend I make country breakfasts. Potatoes white or sweet, eggs,and a meat now and then. I always make extra because well, potatoes! Then the night before we just pop everything into a Pyrex bowl sprayed with a little nonstick spray. Add in whatever you like, maybe some veggies! The next morning I either pop it in the microwave or take it to work and cook there. Delish. Some of my coworkers have caught on and love it too! Hard boiled eggs are always in the fridge. 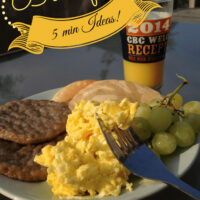 For egg salad or a quick snack or salad toss in! I love this idea! Breakfast is such a struggle for me as I never leave myself time for much of anything in the mornings. I hope to implement this soon! This is a great idea! I love making my own single serving bags of oatmeal using the giant containers you can get for about $3, all you have to do is put 1/4 cup portions in baggies with whatever dry add-ins you might want. It’s so much cheaper that way! I love, love, love this. I have a horrible time getting my high school freshman to eat breakfast, he waits until the last minute to start getting ready. This is so perfect go to work on setting this up very soon. I love the idea of a breakfast station! Tammy Rotzoll recently posted…Our Biggest Giveaway Yet!!! I like this design, interesting! I drink many cups of coffee every day. It really saves my money. Thanks, Rosemarie! Will try today.